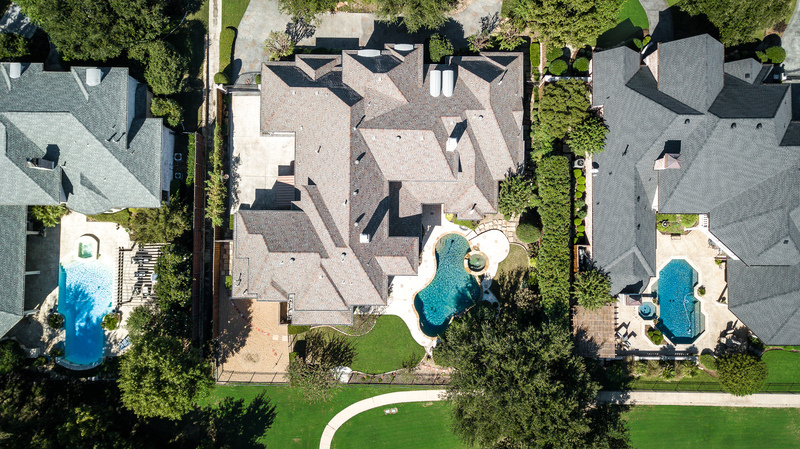 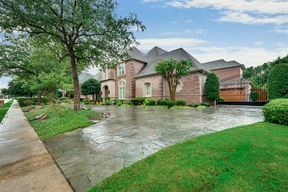 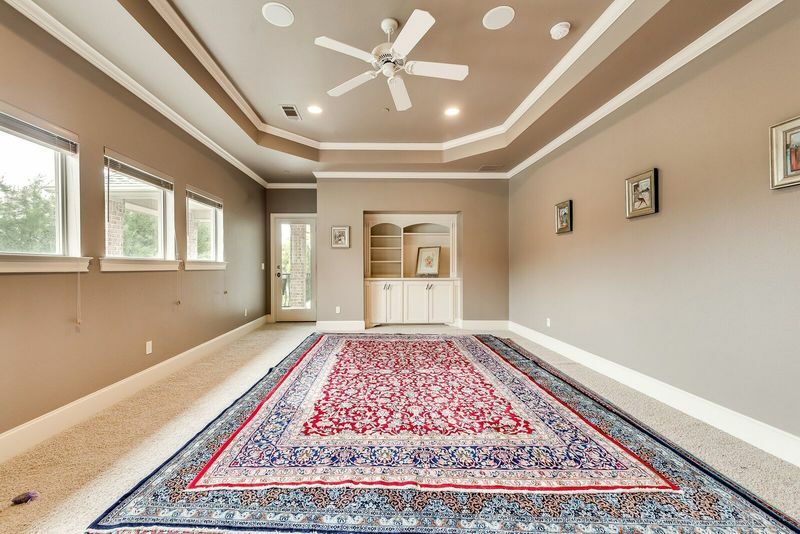 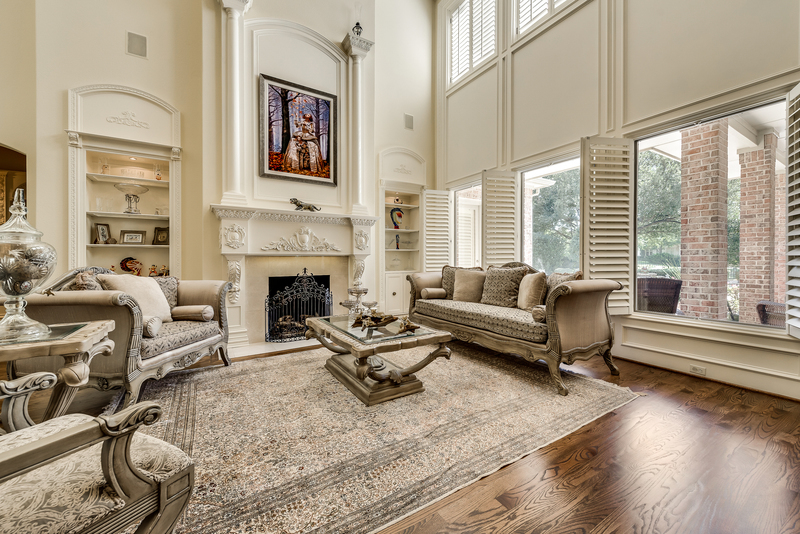 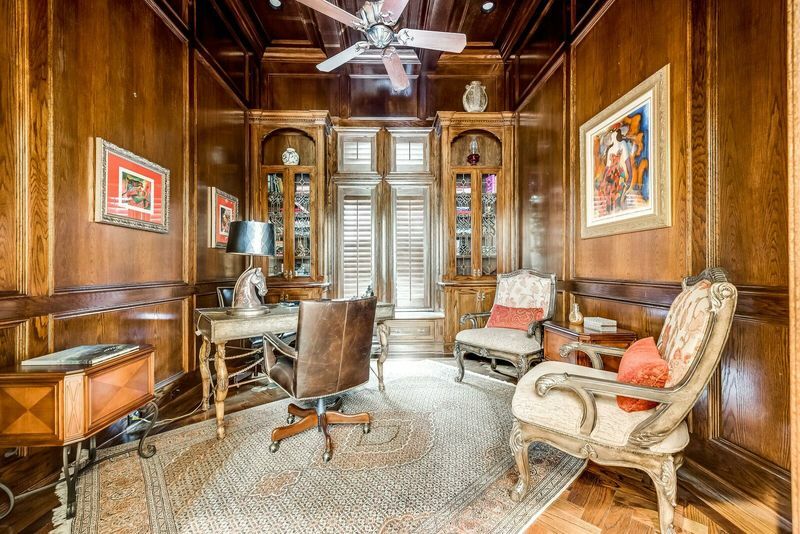 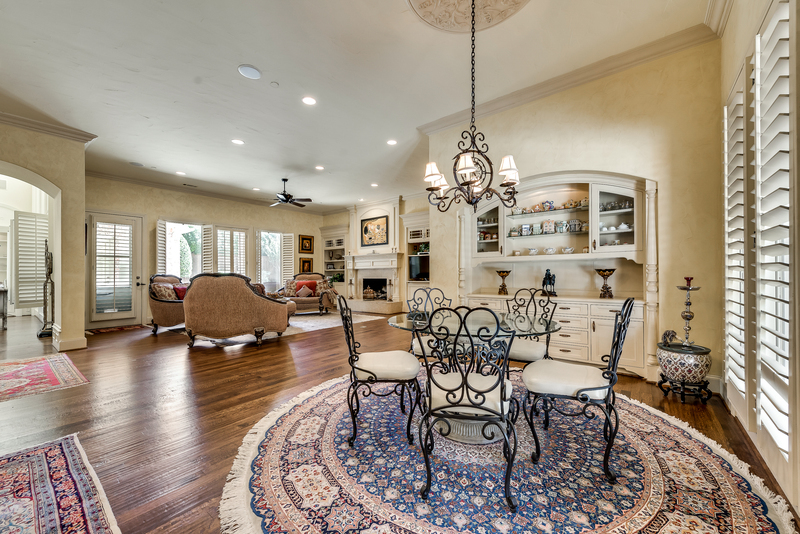 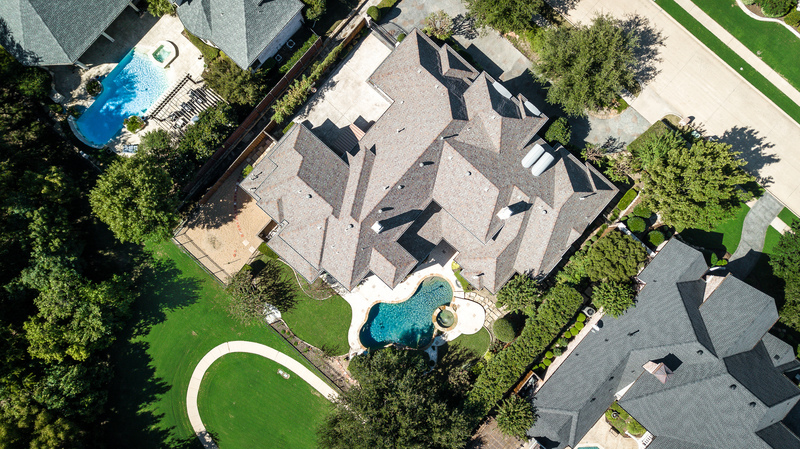 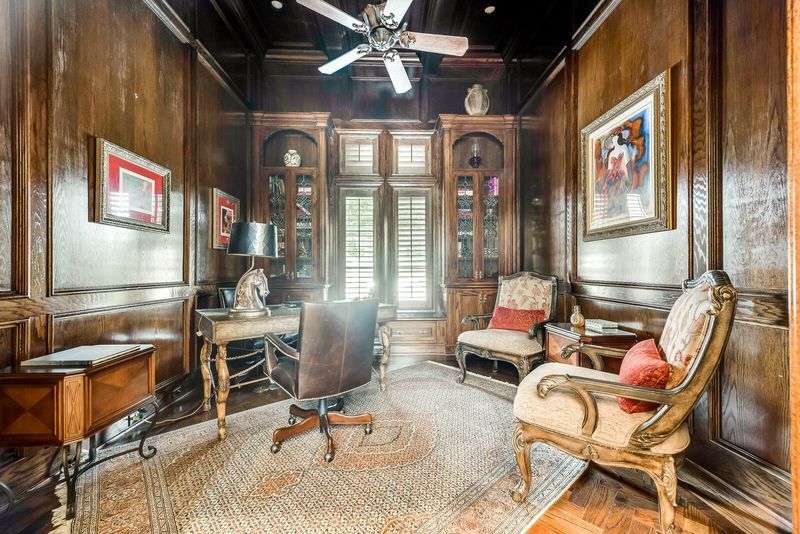 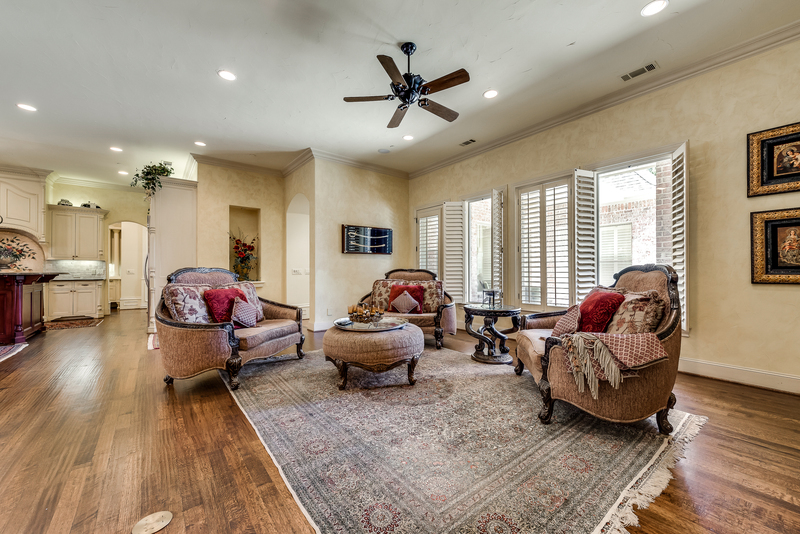 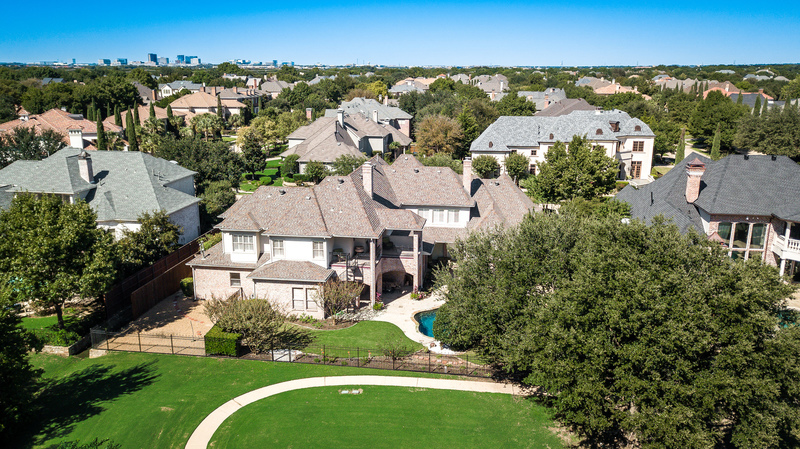 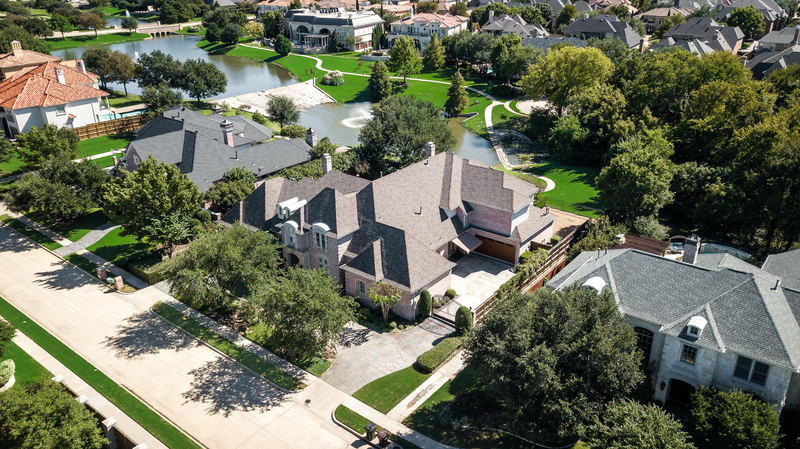 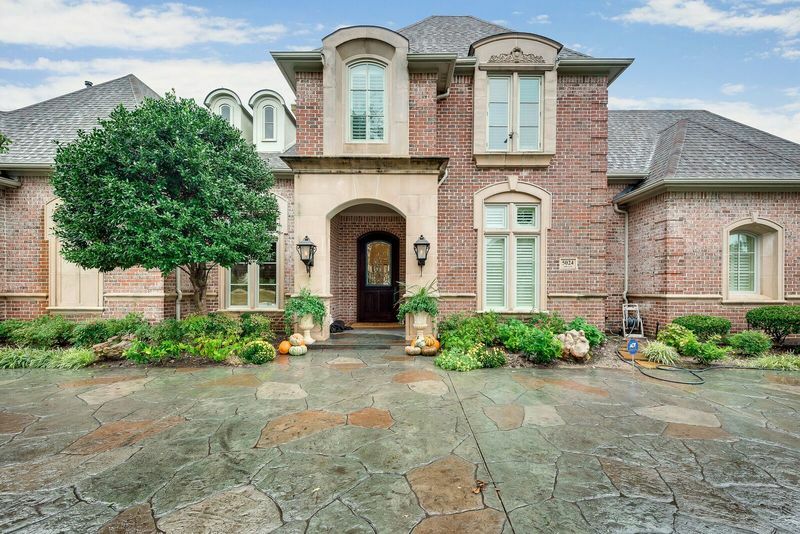 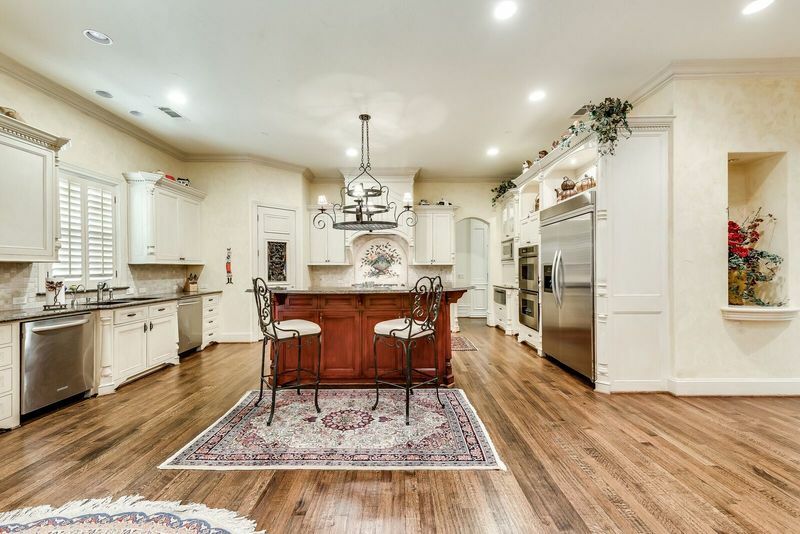 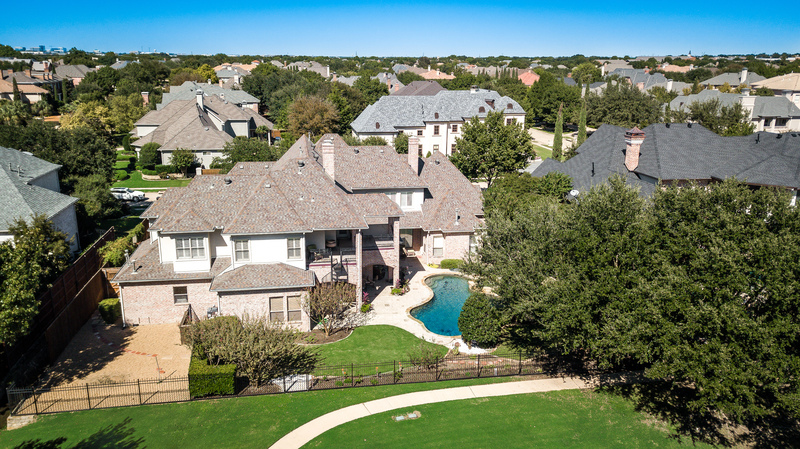 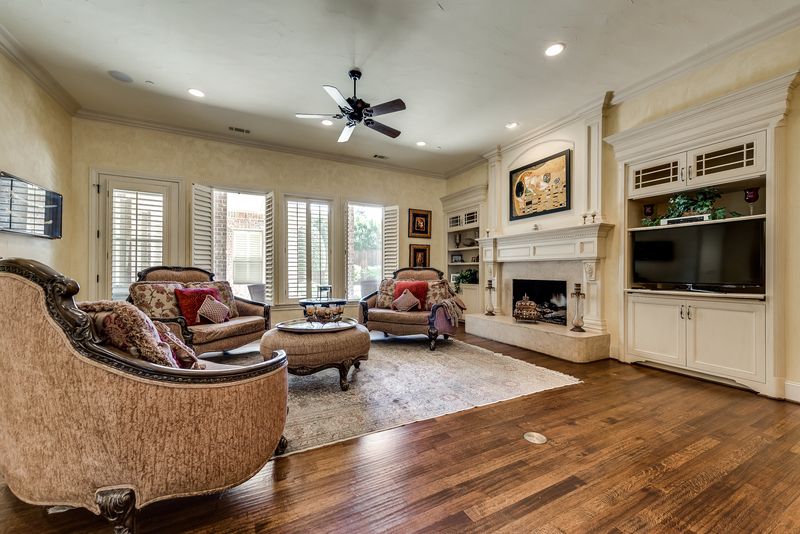 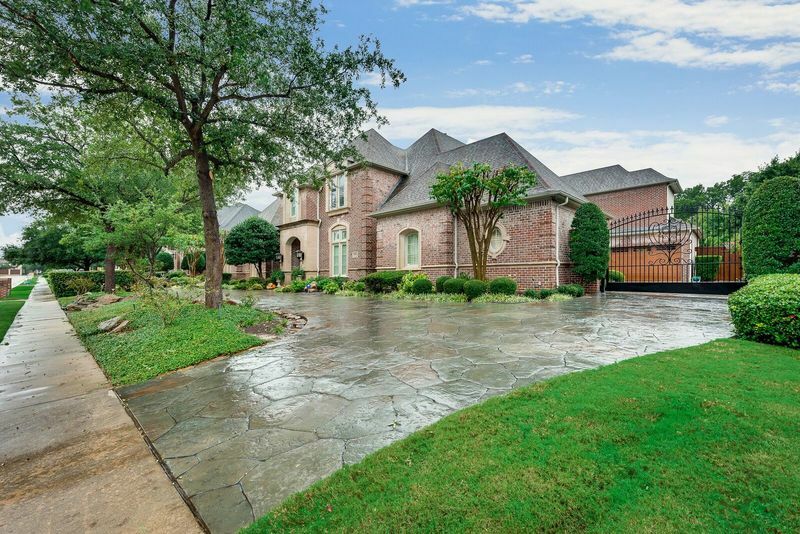 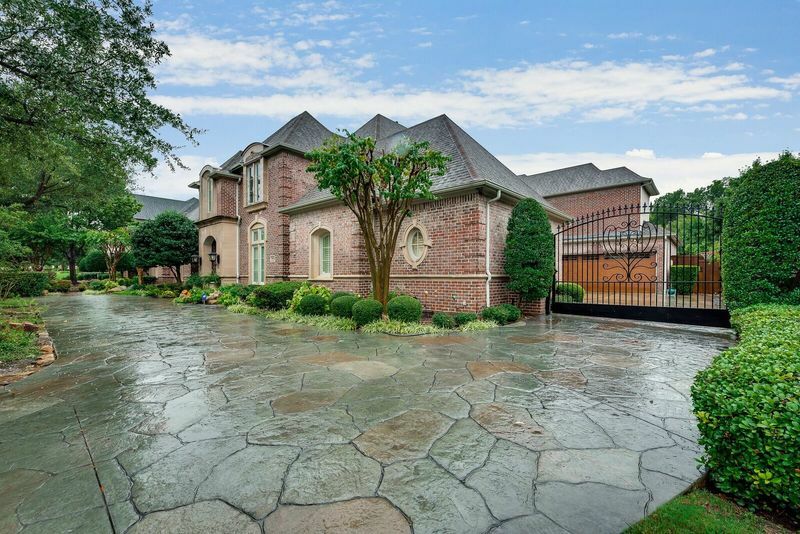 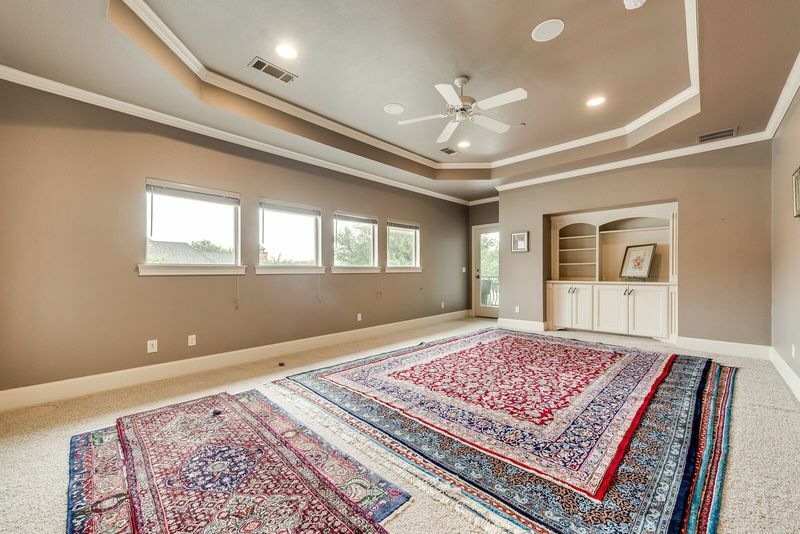 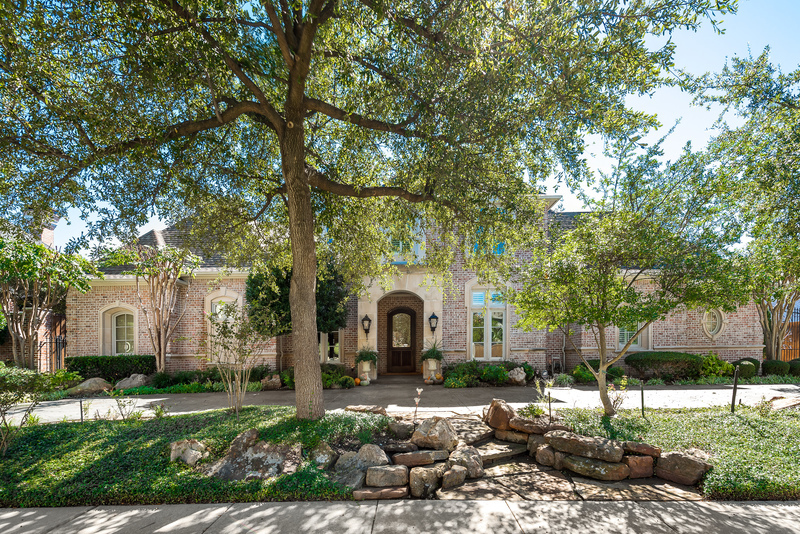 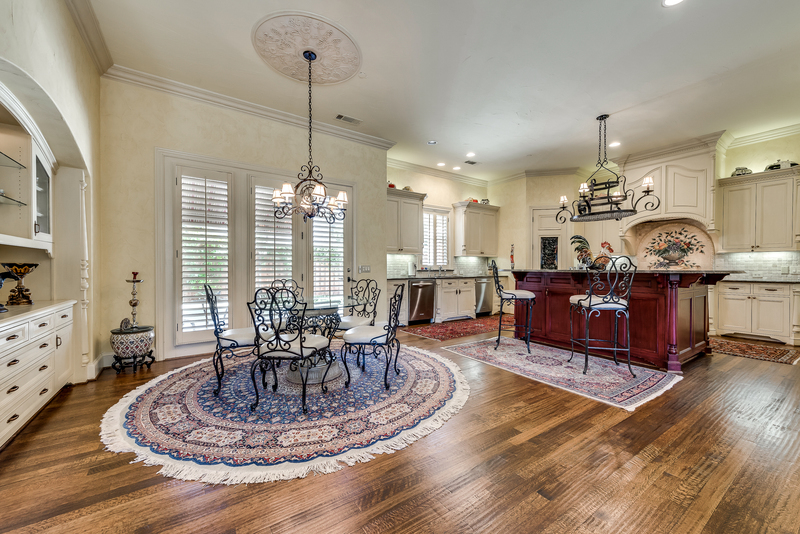 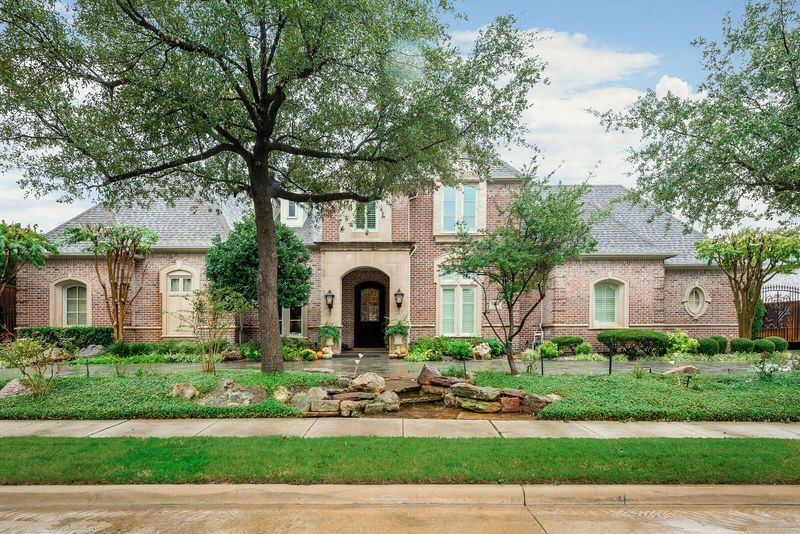 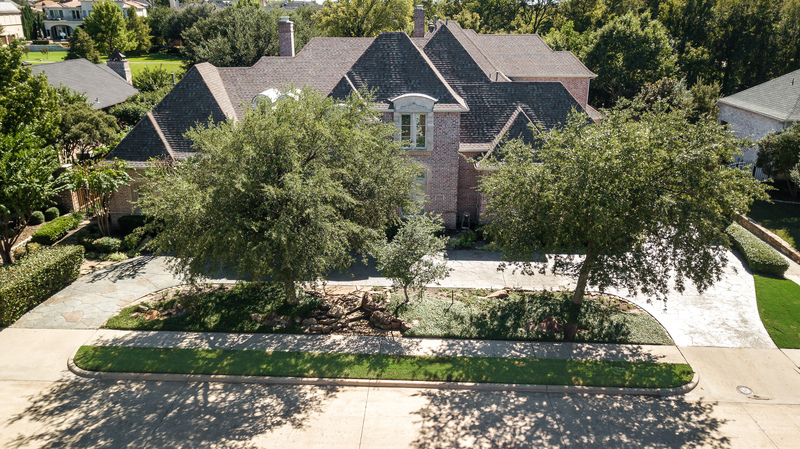 Lake & green belt views compliment this outstanding home. 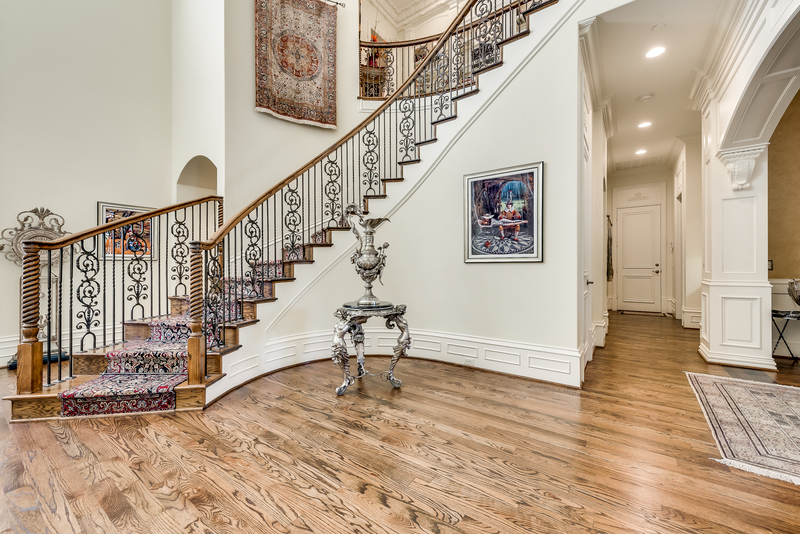 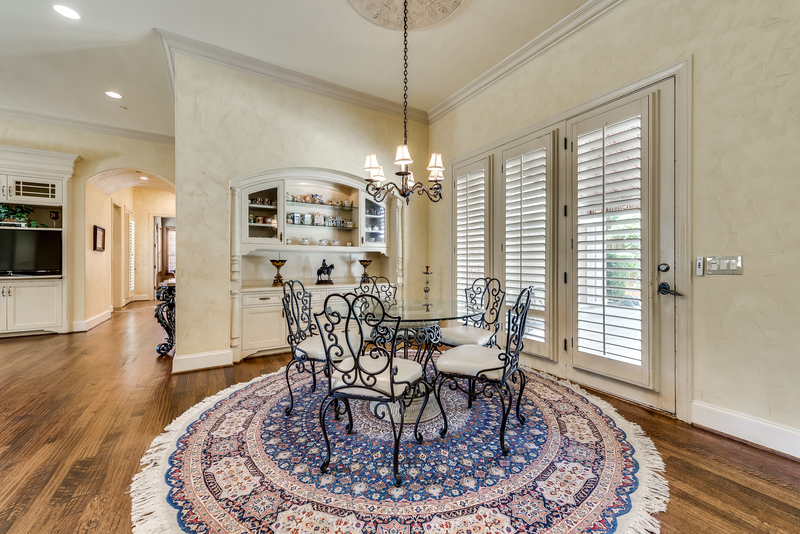 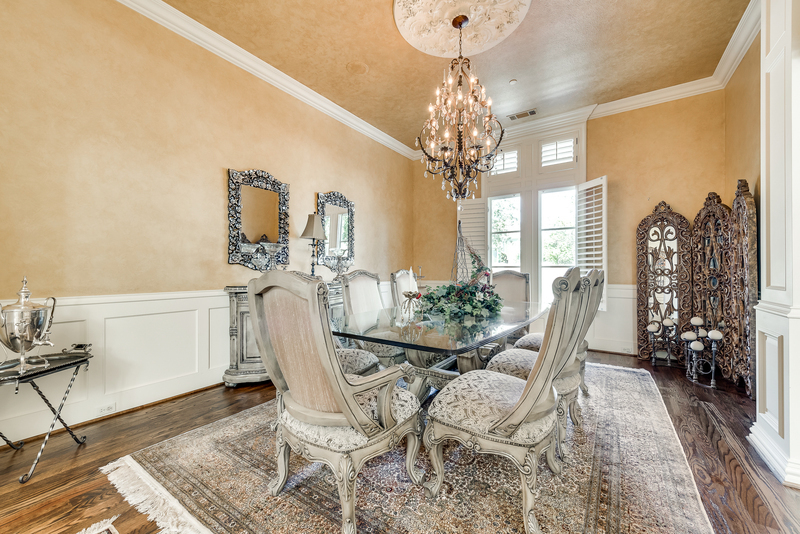 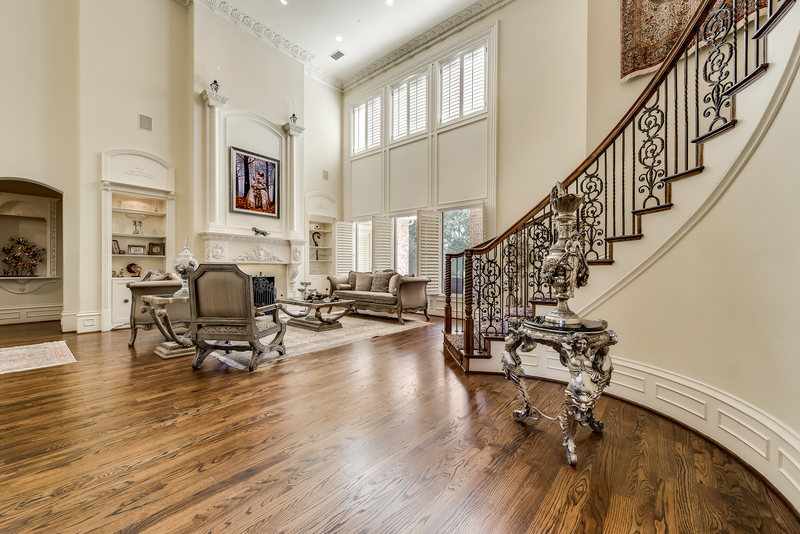 High quality construction and sophisticated interiors are the hallmarks of the house along with attention to detail. 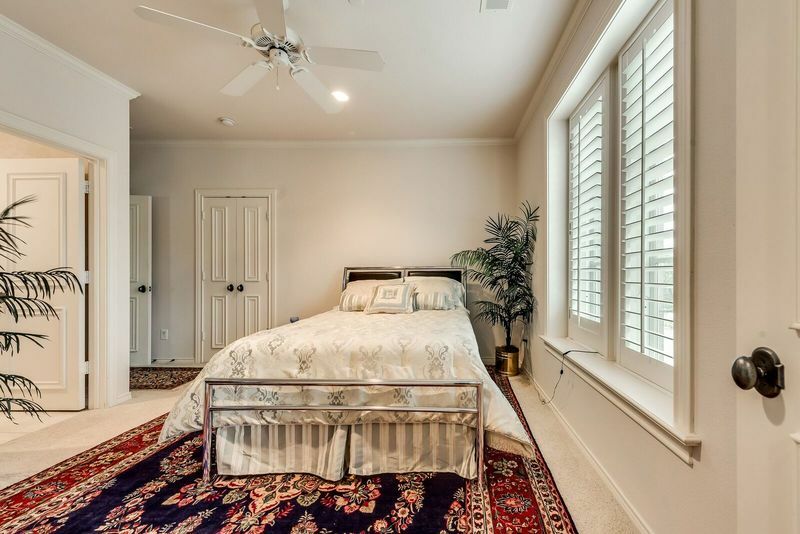 Master suite features a sitting area with a fireplace and views of the pool. 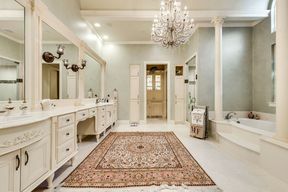 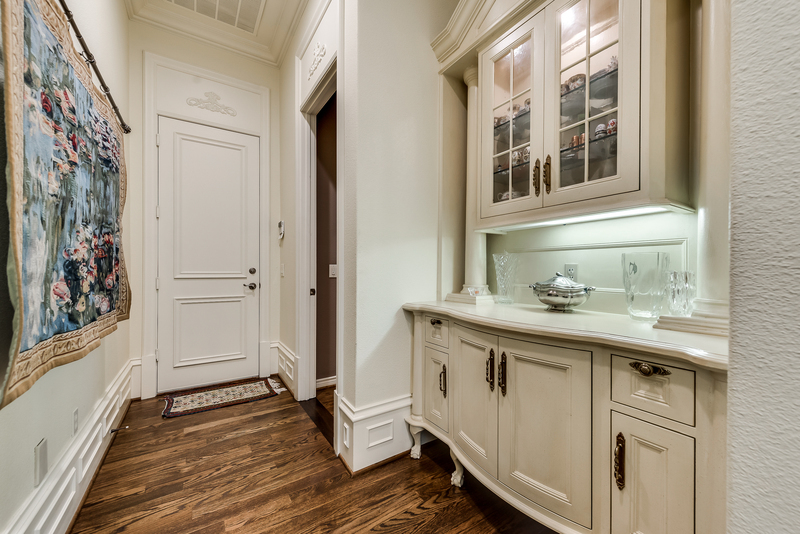 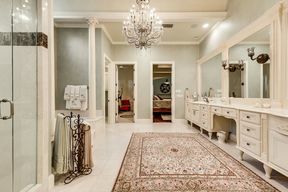 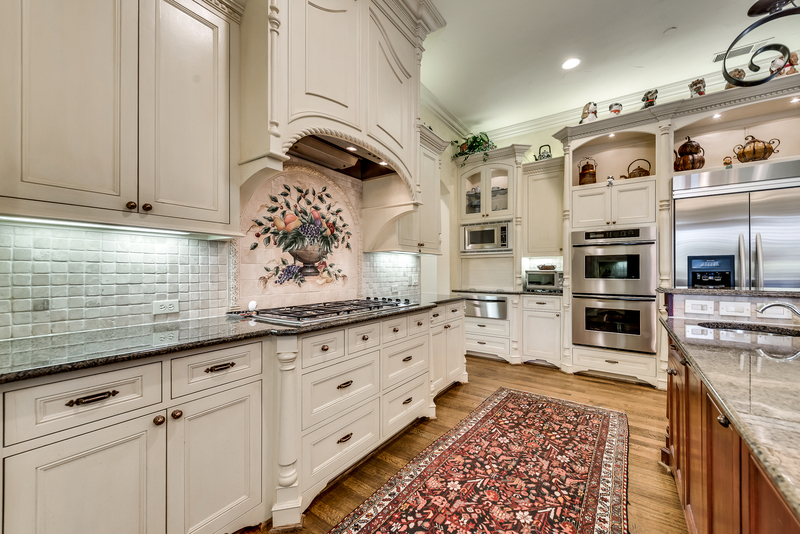 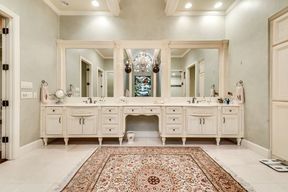 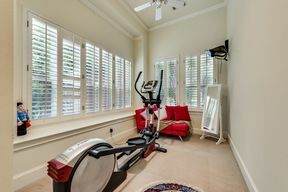 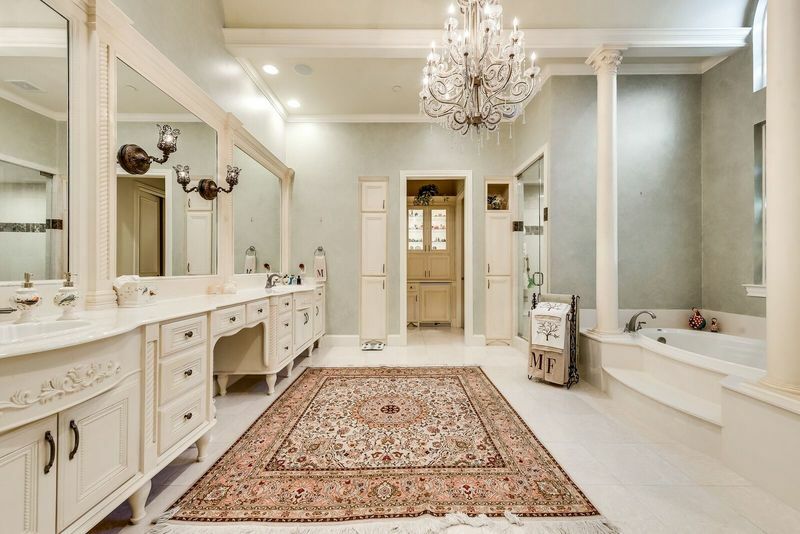 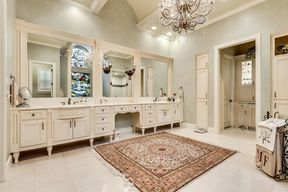 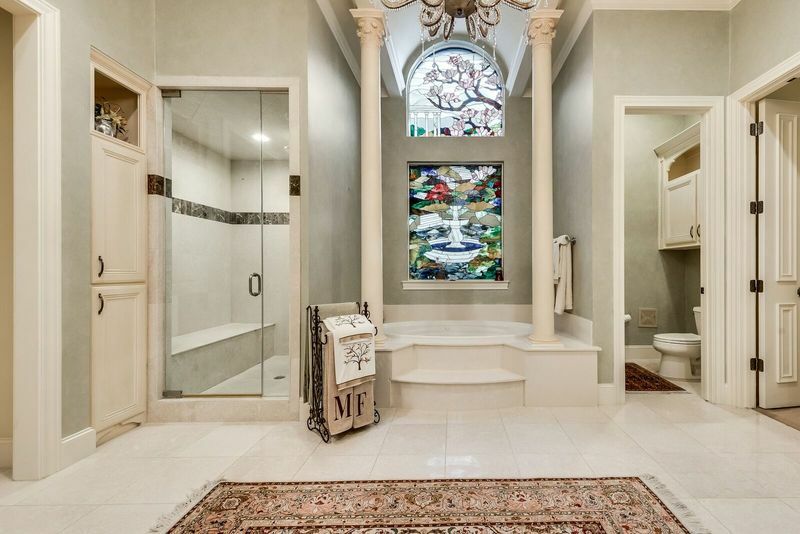 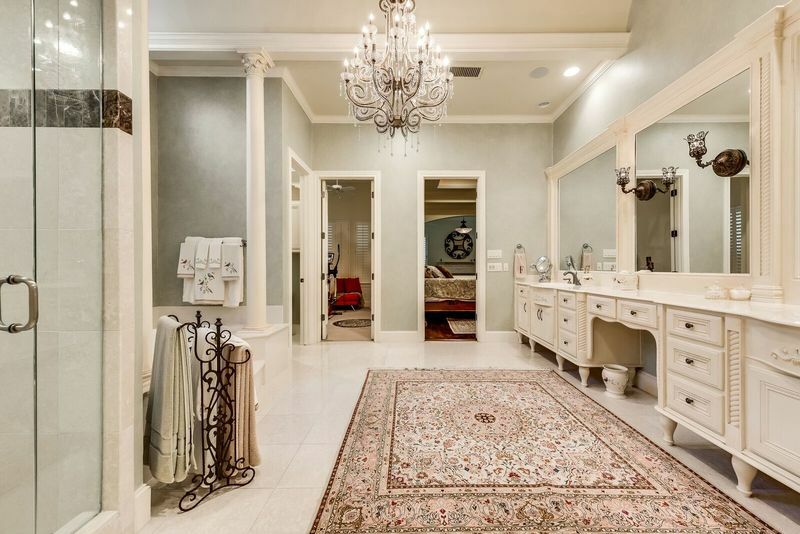 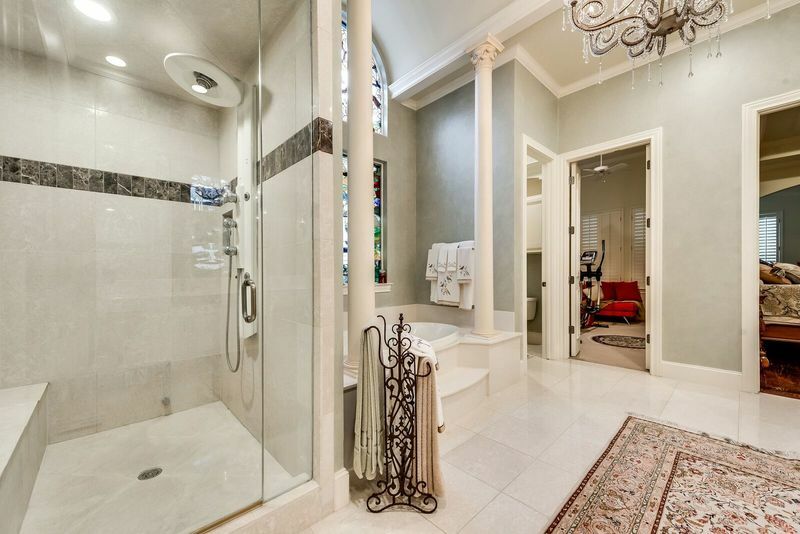 Master bath has dressing areas, stained glass, custom closets and a work out or a reading room. 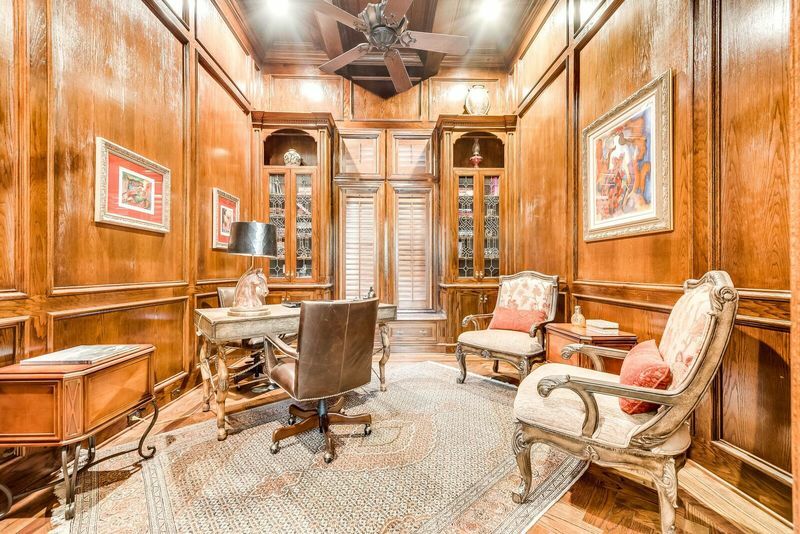 Formal study is elegantly finished out. 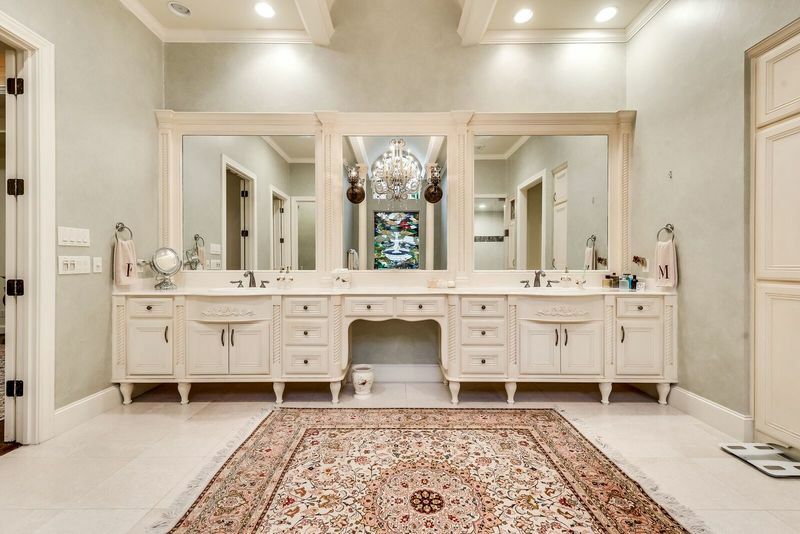 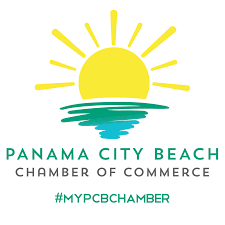 Two powder rooms, a media room, a wet bar with wine coolers. 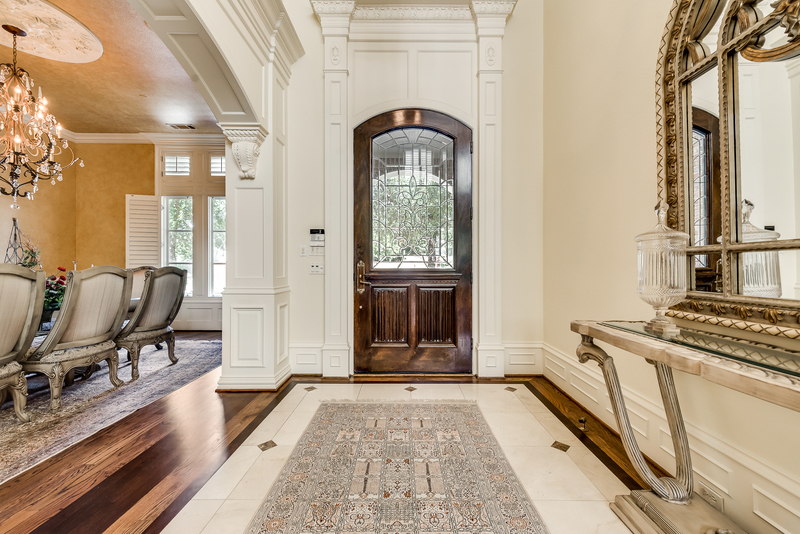 A dramatic formal living and a cozy family room, with rich hand finished hardwood flooring plus a guest suite on the ground floor. 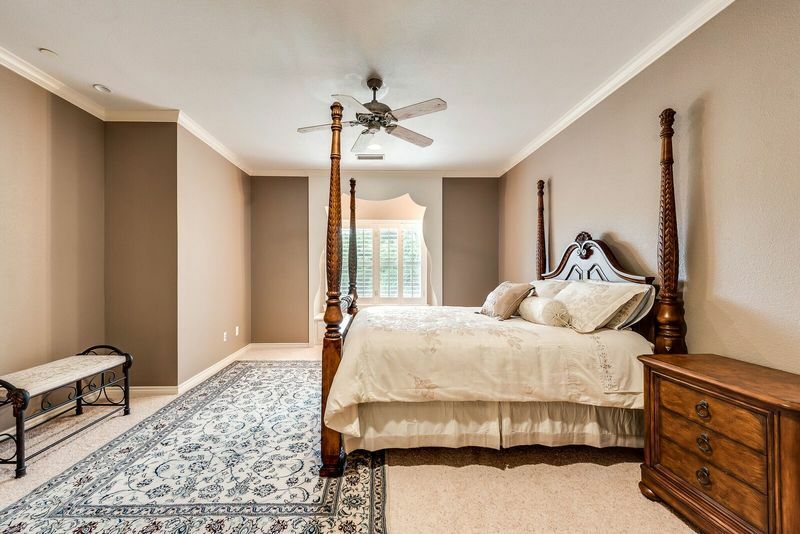 All the bedrooms have ensuite bathrooms & walk-in closets.